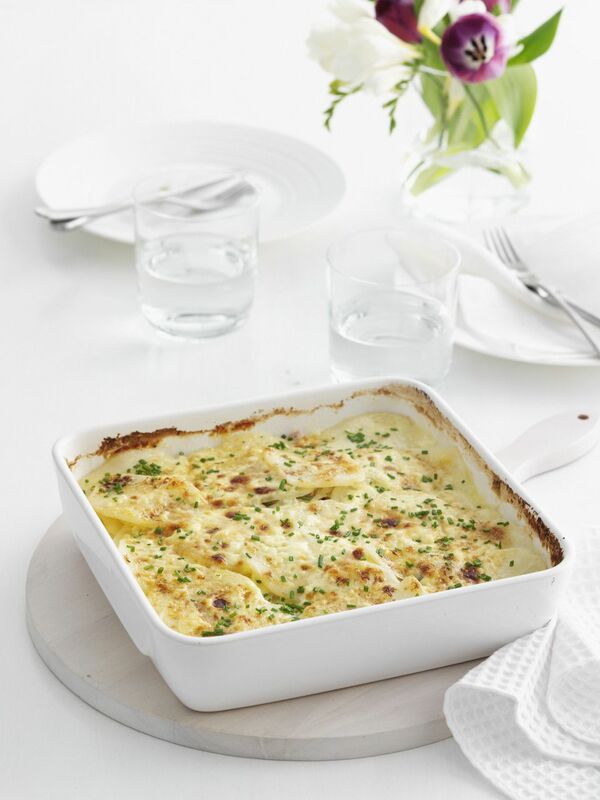 Here's an easy potato casserole, made with sliced potatoes, heavy cream, and a little butter, onion, and seasonings. In an 8-inch baking dish, layer the potato slices and onions, sprinkling parsley, herb blend, and salt and pepper between the layers. Drizzle with the butter and pour cream over all. Bake at 350 F for about 45 to 60 minutes, or until potatoes are tender.